David Victor formerly of Boston: “The Hits of Boston & Styx” (formerly “BOSTYX”) features the music of BOSTON, Styx and other great 70s acts, along with original music. Vocalist/guitarist David Victor and vocalist/drummer Glenn Jost founded the band while David was a member of the actual multi-platinum band BOSTON, to stay in shape between tours. David handles the vocals of one of the most talented rock vocalists of all-time, Brad Delp, while Glenn Jost manages the theatrical vocal stylings of Dennis DeYoung. David Victor: The Hits of Boston & Styx features a plethora of national act-caliber rock talent, including bassist Manny Aguirre who handles the very complex melodic bass lines while keeping the groove steady, bluesy blazer Roby Duron on lead guitar, and the uber-talented keyboardist/guitarist, Victor Bender. David Victor’s show timeless classic hit songs, featuring soaring vocals, harmonies and melodies, backed by a polished and lush soundscape. 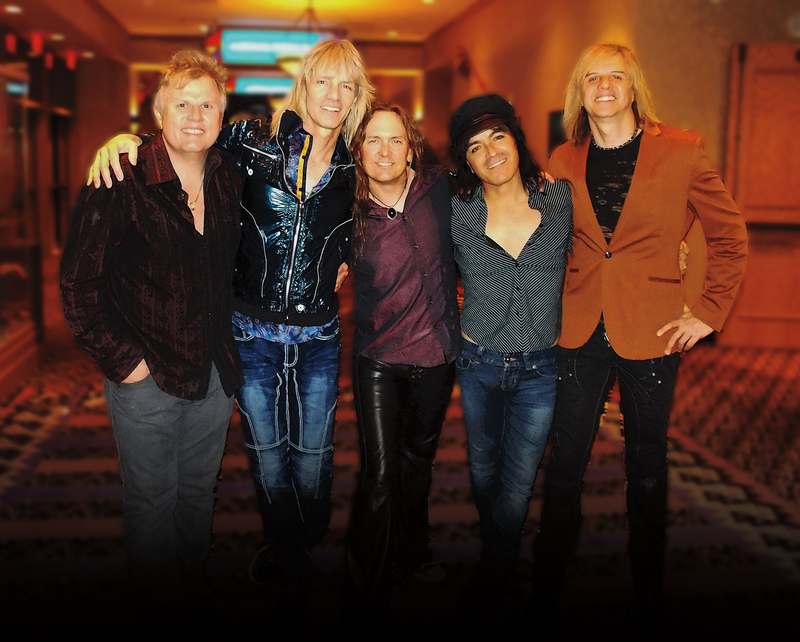 David Victor: The Hits of Boston & Styx faithfully reproduces all the greatest music of this iconic American rock era in one amazing night of music, with vocal harmonies that simply must be heard to be believed. Perfect for summer concert series, festivals and major events, this is a family-friendly concert experience that every classic rock lover is sure to enjoy. The band also performs “Unplugged”, which further showcases the amazing vocals of the band.